While many atheists are proud of their points of view, others tend to feel a bit inhibited. 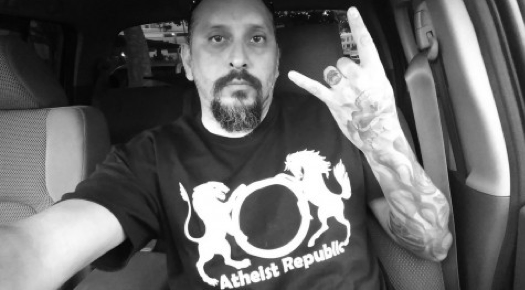 For the former, it is evident that there is nothing shameful about being an atheist but for the latter, it can be very challenging to fight the stigmatization that often accompanies the acceptance of such ideas publically. That is why Atheist Republic has sought out inspiring and interesting accessories that will help all atheists feel less alone and more in the company of like-minded people. Our beautiful necklaces will let each one of you wear your heart on your sleeve. If you are a secular individual who thinks atheists have been marginalized for long enough, we are thrilled to unveil our wide collection of necklaces for you. Pick your favourite design from our assortment and jazz up your outfit while also making a bold statement. Our necklaces help atheists make a point to those who judge them, our necklaces allow atheists to take a stand on what they believe in or do not believe in for that matter. The necklace you choose to wear around your neck can do so much more than simply up your fashion quotient – it can serve as a conversation starter, allowing you to explain to those, who do not relate with your ideas, what atheism is all about. In this manner, not only will you make people more aware about a subject that is mostly misunderstood but you will also save fellow atheists from feeling judged. Gone are the days of staying in the closet, fearing bigotry and intolerance. Now is the time to face people on the other end of the spectrum so they understand your notions are as valuable as theirs are. With Atheist Republic’s innovative designs, you can now flaunt your faith while wearing your style. Buy yourself a necklace, pendant or chain from our extensive collection and be a proud atheist today!